Back from Taiwan | Manda. Aloha! Actually already back from Taiwan but still posting stuff of there on my Instagram. Trying my best to space out my posts so I don't get onto anyone's nerves. It was my first time there and I concluded that people in Taiwan are so nice. Beyond nice. 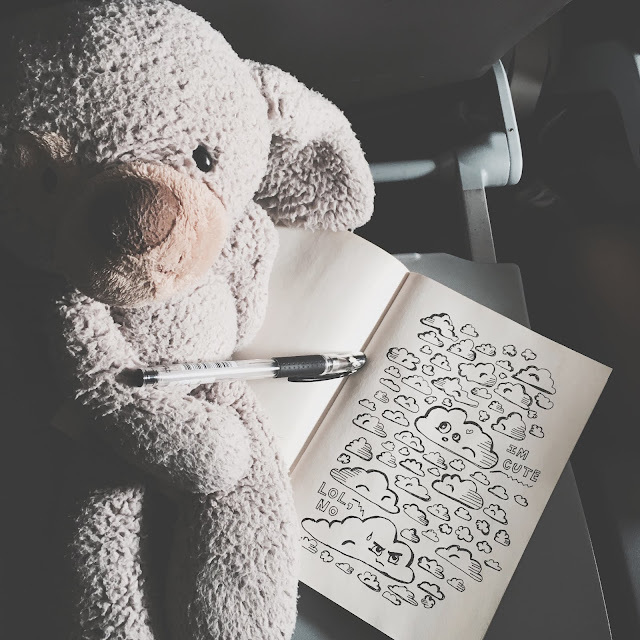 More to come soon, but meanwhile, here's Muffles and his eclectic drawing of cute clouds from the airplane window.